We’ve talked about setting up a local server before, but the process is still fairly complicated and there’s lots of quirks and incompatibliities if you’re trying to run it on Windows, leading to nothing but hassle when you actually upload the thing to a real website. 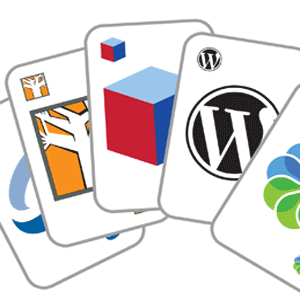 What if you could just boot up a virtual machine and have instant access to a WordPress install to play around with, all contained within a fully functional standardised web server setup? That’d be pretty awesome, right? Welcome to Bitnami. VMWare player for Windows (Note, this isn’t going to work if you run VMWare nested in another virtual machine, like I tried to do). or VirtualBox for OSX and Windows. We have an extensive free PDF guide for VirtualBox, so be sure to download that too. So you probably know what a virtual machine is already; if you don’t, read this What Is a Virtual Machine? Everything You Need to Know What Is a Virtual Machine? Everything You Need to Know Virtual machines allow you to run other operating systems on your current computer. Here's what you should know about them. Read More . Since you can run Linux in a virtual machine, you can also install a web server. The Bitnami appliances are simply a set of virtual machine files that have a web server pre-configured, and are also pre-installed with popular web applications like WordPress or Joomla. Let’s have a go then. I’m going to assume you already have VMWare Player installed. Head over to the Bitnami site and find a web-app you’d like to try. I’m going to be using WordPress. There’s a few download options, but we want the virtual machine one. Extract the downloaded files to a folder, then simply open the enclosed VMX file with VMWare player. Create a new Ubuntu virtual machine. Choose to use an existing virtual hard drive, and select the VMDK file in the downloaded VM folder (if you have many, choose the one with the shortest file name, this is the base hard drive file). Run the new virtual machine. You’ll now be booted to a login screen. By default, the username and password are both “bitnami“. You’ll be prompted to change both on first login. Next, figure out the network address of your VM. With Linux, you can type ifconfig to find out. By default, mine was on a different private network of 10.x.x.x, which is inaccessible from my home network on the 192.168.0.x. To make your VM accessible from other machines, change the network adapter settings to be bridged (I didn’t have much luck when doing this with wifi on OSX, but cabled ethernet worked fine). Restart the VM. That’s basically all there is to it. You now have a fully working server VM setup with WordPress installed and ready to go; the password and username of the particular web-app are outlined on the Bitnami page. In the case of WordPress, login with username user and password bitnami. You can do ahead and install random themes and plugins, and test away. 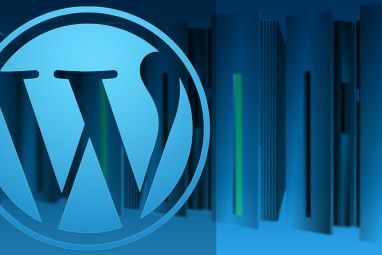 Although WordPress enables you to do anything through the wp-admin interface, other web apps may require you to upload files. Follow the instructions here to setup SCP and SSH for file transfer. I’ve got to say, I think this is pretty incredible really. I have run local servers in the past but always been kind of frustrated with them; this is a simple boot and go and gives you a true server environment to work with, complete with PHPMyAdmin for the database. If you’d rather though, you can just download pre-configured server stacks without the apps, and then go through the app installs yourself, but this is a little more advanced. Could this possibly be any easier? I doubt it. Have you ever tried running a server VM, or made use of Bitnami stacks before? 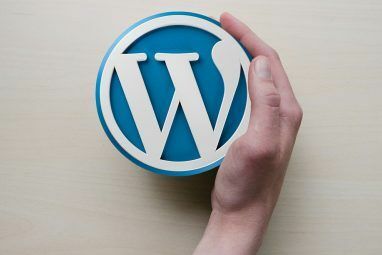 Do you think you’ll finally get around to having a go with WordPress now? Explore more about: Blogging, VirtualBox, Virtualization, Web Server. YES, I think am fully satisfied with your explaination about how using it is. and am thinking on how to start learning more on WordPress instead. Thank you for this information. I may use it one day. This is really cool. Instead of having to get a web server set up you can test drive with no hassle! Great tools, if you still confused which CMS to use. This will come handy at some point in time. 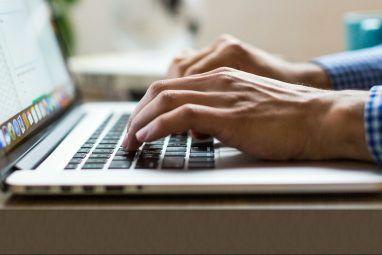 Running a local server can certainly be easier initially, but the advantage of bitnami is that it can be sent straight to amazon cloud for deployment, and represents a "truer" experience - sometimes there are quirks when working locally. Whoa very useful article! Use a lot of CMS so this is going to come in handy. I've used VirtualBox on a Windows laptop in the past and currently have Parallels on my Mac. I'd love to give Moodle another try. Any way to do this on a Mac? Thanks. BTW, the VMWare player for Windows link above redirects to this article. You can download the native installers, which are also free from BitNami, to install Moodle and other apps on your Mac. The installers include uninstallers, so you can just run that to delete everything off of your system if/when you are done with it. Everything is installed in its own directory, so it shouldn't interfere with other software that you have running on your system.